Info Ann Romney (born April 16, 1949) is the wife of 2008 United States presidential election candidate Mitt Romney. From 2003 to 2007 she was First Lady of Massachusetts. Born Ann Lois Davies, she was raised in Bloomfield Hills, Michigan, to parents Edward and Lois Davies. Her father was a businessman and mayor of Bloomfield Hills, and opposed to all organized religion, although the family was nominally Episcopalian. Ann Davies knew of Mitt Romney since elementary school. She went to the private Kingswood School in Bloomfield Hills, Michigan; it was the sister school to the all-boys Cranbrook School that he attended. The two were re-introduced and began dating in March 1965; they informally agreed to marriage after his senior prom in June 1965. While he was attending Stanford University for a year and then was away starting two and a half years of Mormon missionary duty in France, she converted on her own to The Church of Jesus Christ of Latter-day Saints during 1966, guided by Mitt's father George Romney, the Governor of Michigan. She graduated from high school in 1967 and began attending Brigham Young University. Soon after his return from France, she and Mitt Romney were married on March 21, 1969. Their first son was born in 1970 while both were undergraduates at Brigham Young, living in a $75-a-month basement apartment. When he graduated, the couple moved to Boston so that he could attend Harvard Business School and Harvard Law School; slowed down by parenthood, she later finished her undergraduate work by taking night courses at Harvard Extension School, graduating in 1975 with a Bachelor of Arts degree with a concentration in French language. A stay-at-home mom, Romney raised the family's five boys (born between 1970 and 1981) while her husband pursued his career, first in business and then as Governor of Massachusetts. Their primary residence has been in Belmont, Massachusetts, but they also have homes in New Hampshire and Utah. In 1998, she was diagnosed with multiple sclerosis. After a period of severe difficulty with the disease, a mixture of mainstream and alternative treatments has given her a lifestyle mostly without limitations. She is a board member for the New England chapter of the National Multiple Sclerosis Society, and has been given the MS Society's Annual Hope Award. She has also served as Governor's Liaison to the White House Office of Faith-Based and Community Initiatives and as a board member for the United Way of America. While Massachusetts First Lady, she was active in teenage pregnancy prevention efforts. She has been involved in a number of children's charities, including being director of the inner city-oriented Best Friends, and was given the 2006 Lifetime Achievement Award from Salt Lake City-based Operation Kids. She is an avid equestrian, crediting her renewed involvement in it while in Utah for much of her recovery after her multiple sclerosis diagnosis. She has received recognition in dressage events at a national level, including winning the 2006 Gold Medal and 2005 Silver Medal at the Grand Prix level from the United States Dressage Federation. 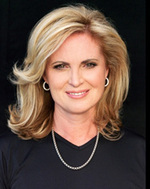 Ann Romney has been an active campaigner in her husband's 2008 presidential campaign. One past issue that arose involving her was her donation of $150 to Planned Parenthood in 1994. By late 2007, she had become an integral part of his campaign, and was doing more trips and appearances on her own, despite the risk that added stress would aggrevate her condition. Her political message was often mixed with discussions of her recipes; a book by her, Faith in the Family, was also in the offing. Romney's television advertisements in the early primary states prominently featured her.